How to become a Professional Knitter - Robin Hunter Designs: What's your Yarn Inconsistency Tolerance Level? Have you ever seen a label like this? I have. I had a comment from someone who bought one of my patterns and used the suggested yarn for the pattern. The yarn is Knitted Fever Painted Desert. The knitter was unhappy with the yarn because she felt it had been spun too unevenly. It's a three ply yarn and when the three strands line up in spots where all three are thinner you get a skinny section and the same happens when it lines up three thicker sections. Generally the strands balance one another out, making these inconsistencies of each single ply less noticeable. It got me thinking about how do knitters decide what's acceptable and what isn't. I think my range must be pretty wide because I didn't have a problem with this yarn, if anything I was surprised by the comment, but then I also really like Noro yarns too. I've seen a lot of negative commentary on Ravelry about Noro yarns. I like the uneven, imperfect nature of many yarns. To me it makes them feel more natural and reminds me they come from plants and animals. I do think we need to remember all natural fibres have this tendency to vary and spinning techniques play a role here as well. Often thick and thin yarns are created on purpose. Hand spun yarns are also more likely to vary in thickness. Man made fibres are often consistent in thickness as synthetic fibres are extruded polymers. Do recognize this isn't about the price of the yarn or the quality of the yarn. I'm currently working with a gorgeous merino, cashmere and silk blend which is much more uneven than some knitters would be happy with. So what's a knitter to do? I think the simplest thing to do is to look carefully at your ball of yarn and specifically follow the individuals strands with your eye. You can often see the variations sitting on the outside of the ball. 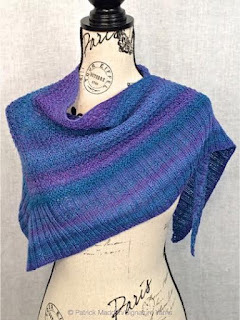 If you prefer a more consistent yarn and you see unevenness that yarn is probably not for you. Remember knitting is all about pleasing yourself. 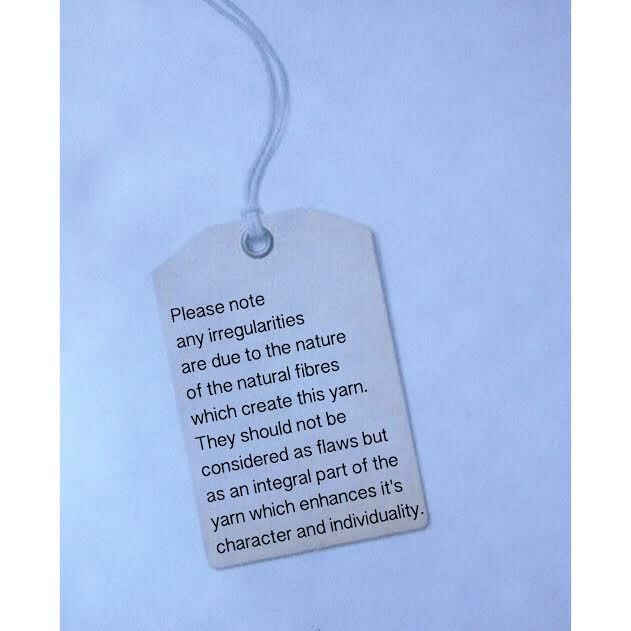 Labels: # knitting blogs, What's your Yarn Inconsistency Tolerance Level?